So, of course this being my first post I’ll be talking about blogging. Blogging is a phenomenon in which a personalized website called blog is updated regularly with the thoughts and ideas with people online. It also involves collection of different links to the webpages in that website. 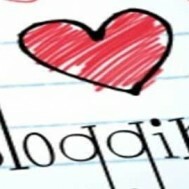 Blog is similar to a Web Log. Blogging for many years prevailed like a craze in the surfers but now it has become a mode of entertainment to publicity, to media, to business and to anything and everything. Basically, a blog started like an online journal which listed recent updates of any topic in that journal. Starting a blog might cost just a little or even might be free sometimes and is useful and applicable to quote a wide variety of things. A blog often contains images, videos, music, audio along with the text content which makes the user get news as lively and lovely as a media produce. A blog not only serves as an information provider but also is interactive in nature. Several people online can jot down their comments on the blog and articles of the blog and thus behave as a bridge between different groups of people worldwide. Blogging has to be done regularly to keep your blog live, current and useful in the internet. An outdated version of your blog may not attract any surfer. Adding new articles regularly, frequent posts increase the traffic to the site and publicize it well in any search engine or news mails or bulletin boards. A significant amount of work is involved in setting up a blog and also in maintaining it regularly. A number of guidelines, rules and tools are specified to the user for setting up a new blog. All of them have to be followed in order to set a blog properly and breaking of which, might turn hazardous to the blog presence in the internet. There are many services like blogger and WordPress which help the user in creating a new account and blogging made easier. It just takes a couple of minutes to register in one of these servicers and get a new blog ready. All that a user has to think of is a topic on which he would like to start the blog. Blogging in its age of 11 years has seen many dimensions like from an online dairy to an outlet of thoughts, from a journal to fun and entertainment source.